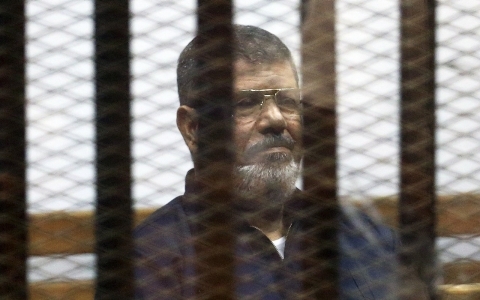 Egypt’s court decision on Tuesday to uphold the death sentence against deposed President Mohamed Morsi for his alleged role in a series of jailbreaks and deadly attacks on police during the 2011 uprising means the country could soon carry out the first execution of an ex-head of state since Iraq hanged Saddam Hussein in 2006. But analysts say there is reason to be skeptical that Egypt will actually proceed with Morsi’s sentence — a risky move that would transform him into a martyr for the Muslim Brotherhood and its political allies. Tuesday’s ruling, which was reached after consultation with Egypt’s grand mufti, underlined the Brotherhood’s shocking rise and fall. The group’s supporters, who were oppressed for decades under dictator Hosni Mubarak until his demise in 2011, heralded Morsi’s unlikely election in 2012 as a crowning achievement for the pan-Islamic political movement. They consider Sisi’s takeover just one year later to be an illegal military coup, with many clinging to the remote hope that their democratically elected leader might one day be returned to power. Executing Morsi would extinguish that prospect and, many Sisi supporters argue, close the book on the Brotherhood’s brief resurgence. Brotherhood spokesman Nader Oman, in an interview with Al Jazeera, promised resilience no matter the outcome. “The Muslim Brotherhood is an organization that has gone on for more than 80 years. Imprisoning our leaders will not stop us from fighting,” he said. The strong-fisted Egyptian government will likely take that claim seriously. After the first sentence against Morsi was announced in May, the Brotherhood released a similar statement that portrayed him and the movement as the last defenders of Egypt’s post-Mubarak democracy. It called on supporters “to escalate revolutionary defiance activities every day until together we defeat the junta and topple the illegitimate military coup regime.” Whether that was meant as a call to arms is unclear, but just a few hours later, three Egyptian judges were gunned down in the Sinai peninsula, where a group allegedly affiliated with the Islamic State in Iraq and the Levant (ISIL) has waged a string of suicide attacks on security forces. Others say Egypt’s foreign backers, especially the United States, would not allow the former president to be put to death after such a flawed trial. Sisi has so far met minimal outside resistance to his crackdown, including mainly verbal reprimands from Washington, which, Sisi’s critics say, has chosen stability over democracy by continuing to inject Egypt with $1.3 billion in annual military aid. But some say putting Morsi to death would be a bridge too far, and that it might be politically savvier to simply let him rot in jail. “It seems more likely that [Sisi] would try to maintain leverage both with the Brotherhood and also with Western governments, who would be shocked at the execution of a former president and political rival,” said Jon Alterman, the director of the Middle East Program at the Center for Strategic and International Studies. There is also reason to believe a broader domestic reaction would arise from not only Brotherhood supporters but wide swathes of Egyptian civil society. Many of those who backed the second uprising against Morsi, who was accused of consolidating power and willfully undermining Egypt’s nascent democracy, have come to view Sisi in a similar vein. Executing his former political rival would only bolster his image as an anti-democratic military strongman.